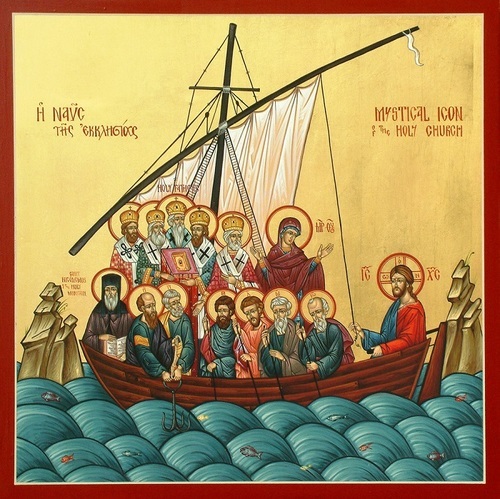 As the waves of passions confront us and threaten to hurtle us against the rocks, it is good to remember that as long as we remain on board the ship of the Church, we are safe. We sail aboard a ship that is piloted by Christ Himself, and we are comforted with the knowledge that this ship is headed to the safe harbor, which is the eternal Kingdom of God. Prophet Ezekiel (6th c. B.C.). Venerable Symeon of Emesa, fool-for-Christ (590), and his fellow faster Venerable John. New Hieromartyr Peter priest (1938). Uncovering of the relics of St. Romanus Medved’ the Confessor, priest (1999). New Hieromartyrs Simo Banjac and Milan Stojisavljevic and his son Martyr Milan of Glamoc, Serbia (1941-1945). Venerable Onuphrius the Silent of the Kiev Caves (12th c.) and St. Onesimus, recluse of the Kiev Caves (13th c.). Uncovering of the relics (1649) of Venerable Anna of Kashin (1337). Martyr Acacius of Constantinople. (Greek). 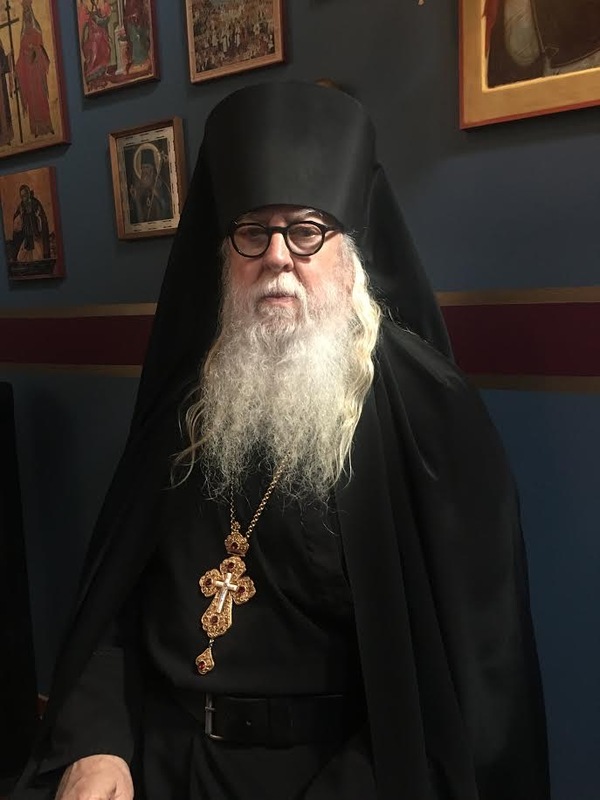 Venerable Eleutherius of “Dry Hill” (Greek). St. Parthenius of Radovizlios, bishop (Greek). St. Anna, mother of Venerable Sabbas the Serbian (Serbia). Hieromartyr Zoticus of Comana in Armenia (204). Martyrs Justus, Matthew, and Eugene of the 13 who suffered at Rome together with the Martyrs Trophimus and Theophilus (305). St. Paul, bishop, and St. John, presbyter, ascetics near Edessa (5th c.). 12 For our boasting is this: the testimony of our conscience that we conducted ourselves in the world in simplicity and godly sincerity, not with fleshly wisdom but by the grace of God, and more abundantly toward you. 13 For we are not writing any other things to you than what you read or understand. Now I trust you will understand, even to the end 14 (as also you have understood us in part), that we are your boast as you also are ours, in the day of the Lord Jesus. 15 And in this confidence I intended to come to you before, that you might have a second benefit— 16 to pass by way of you to Macedonia, to come again from Macedonia to you, and be helped by you on my way to Judea. 17 Therefore, when I was planning this, did I do it lightly? Or the things I plan, do I plan according to the flesh, that with me there should be Yes, Yes, and No, No? 18 But as God is faithful, our word to you was not Yes and No. 19 For the Son of God, Jesus Christ, who was preached among you by us—by me, Silvanus, and Timothy—was not Yes and No, but in Him was Yes. 20 For all the promises of God in Him are Yes, and in Him Amen, to the glory of God through us. The Sadducees: What About the Resurrection? 29 Jesus answered and said to them, “You are mistaken, not knowing the Scriptures nor the power of God. 30 For in the resurrection they neither marry nor are given in marriage, but are like angels of God in heaven. 31 But concerning the resurrection of the dead, have you not read what was spoken to you by God, saying, 32 ‘I am the God of Abraham, the God of Isaac, and the God of Jacob’? God is not the God of the dead, but of the living.” 33 And when the multitudes heard this, they were astonished at His teaching. I find a lot of comfort in your post for today.